Here are the book covers we loved the most from our reads this year – and more importantly we’re sharing if the book as good as the cover suggests. 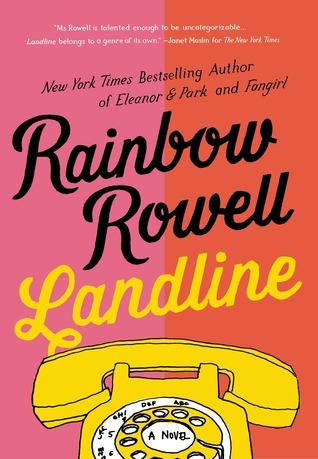 I think I just really love the bright colors of this cover and the hand drawn, old fashioned telephone. There is a version with just a gray background and I actually like that one as well. The font is fun for this one too and I especially love that the words Landline come up out of the telephone like they are the curly cord. I know I keep mentioning this book but I can’t not say anything about this awesome cover. 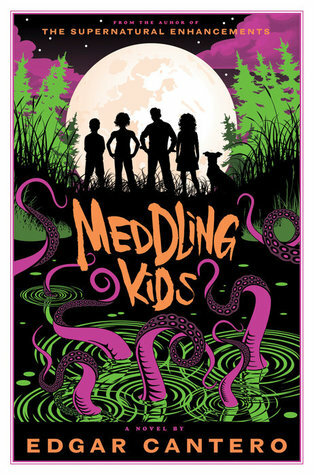 It really all makes sense after you’ve read the book- the full moon, the lake, the tentacles rising up from the bottom. Somehow the neon colors really work too. 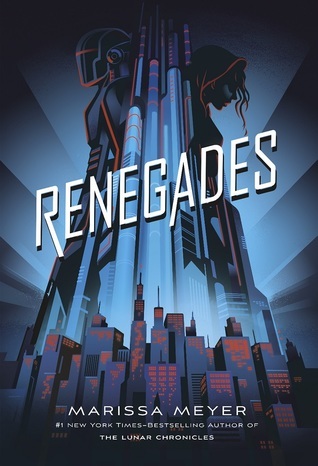 So this book turned out to be a bit of a disappointment for me (I’m in the minority though), but this cover is still pretty rad. I just love how bold and in your face it is. It’s fairly minimalistic too but I love how the two main characters are rising above the city. It’s a nice touch that they are looking down on the city too because it shows that they’re looking over the people and that they are humble about it and want their identities to remain secret. Tanya – My favorite covers from books read in 2017 includes .. The cover truly represents what happens in the book – love the confusion and juxtaposition of the urban (representing the city of Detroit) and the flower representing the island of Haiti. Both feature prominently in the book which was a fantastic read. The book was just as good as the cover. The cover is beautiful and otherwordly just like the book. Although, there were many parts in the book that were rambling and boring – so for that reason, I think … the cover is better than the book. There’s so much going on in this seemingly simple cover – the cut off face suggesting that something / some part of the character is hidden or not revealed in the book. And the old school vibe – because this book is historical fiction … alternative historical fiction … with magic! Oh yes, the book is indeed just as beautiful as the cover. Tell us what you think – which of the covers above is your favorite? If you’re participating in #AMonthofFaves – add your blog post (or social media link) to the linky below.